Melia Robinson/Business InsiderWelcome to Treasure Island. 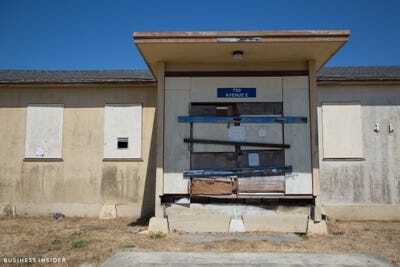 Treasure Island, a man-made island off the coast of San Francisco, looks more like a post-apocalyptic wasteland than a Bay Area suburb. But as demand for housing in the tech capital continues to climb, developers have turned to Treasure Island in the hopes of creating the next big real-estate destination. In 2011, the city of San Francisco approved a proposal that will add 8,000 new homes, 500 hotel rooms, 300 acres of parks, 140,000 square feet of retail, and 100,000 square feet of office space to the island over the next 15 years. It comes with a price tag of $A6.5 billion. 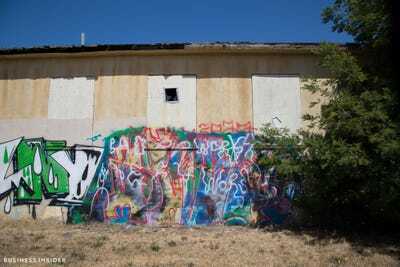 With construction on infrastructure underway, we decided to spend the day exploring Treasure Island — and learned there’s more to this former toxic waste site than meets the eye. The island was built on a rocky bank just north of Yerba Buena Island. It served as the fairgrounds of the 1939 World's Fair, which celebrated the city's two new bridges. 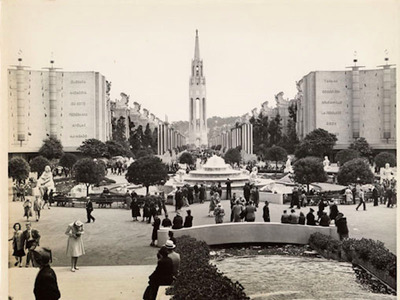 The 1939 Golden Gate International Exhibition was a World's Fair held in commemoration of the newly built Golden Gate Bridge and San Francisco -- Oakland Bay Bridge. 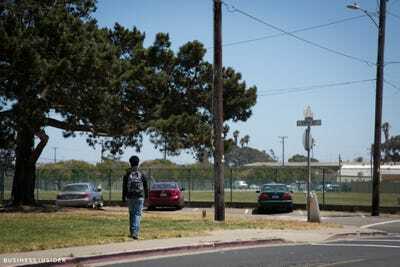 More than 2,500 people call Treasure Island home, as of the 2010 census. On a recent visit, I stepped off the bus and found a community nearly deserted. Signs with hazard symbols were posted on fences along the western side of the island. I passed only a handful of people -- but hundreds of seagulls flew overhead. Their feathers littered the streets and building roofs. 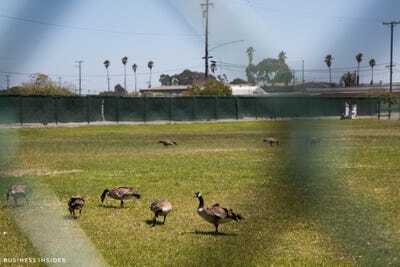 Geese laid claim to an unused soccer field. I needed a way to get around. Twice I circled Building One -- one of the last remaining structures of the World's Fair -- before finding the bike rental shop tucked in the back. Tammy Power, the owner, came to Treasure Island six years ago looking for shelter when she was homeless. 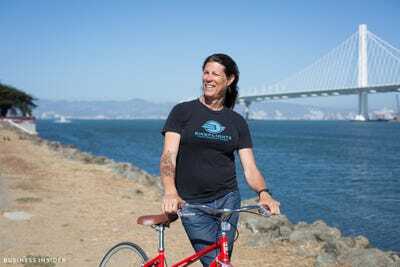 As she watched a bike lane open up on the new bridge connecting Yerba Buena Island and the East Bay, a lightbulb turned on. The island needed a bike shop. She saved up the money she made working as a bike mechanic and bought the essential tools necessary for bike repairs. Powers convinced the owners of Building One, an administrative building, to lease her the space without ever revealing her living situation. 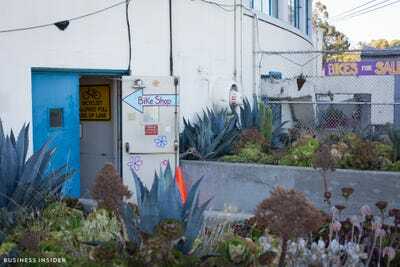 A Tran's Bay Bike Shop now offers bike rentals. Powers said she serves mostly tourists. Powers knows every nook on the island and can put visitors on a course that includes the few shops and restaurants open for business. But part of the fun is exploring. Aracely Cafe is the only restaurant on the island that serves breakfast, lunch, and dinner. 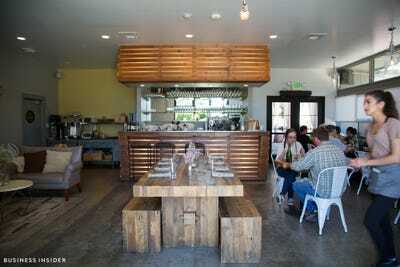 The rustic-décor spot offers items like croissant french toast and avocado toast. 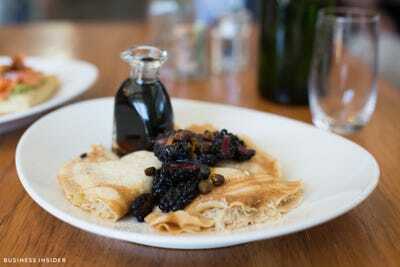 I tried the $A13 macaroon crepes stuffed with shredded coconut and topped with blackberries and pistachios. The restaurant buzzed with foreign tourists and businesspeople. After brunch, I set out on my bike. As I rode down empty streets, I reveled in the quietness. It was surreal to have huge swaths of the city-neighbourhood to myself. 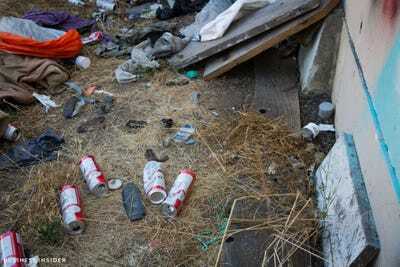 At the back of an abandoned building, I found clothing, cigarettes, and beer cans. 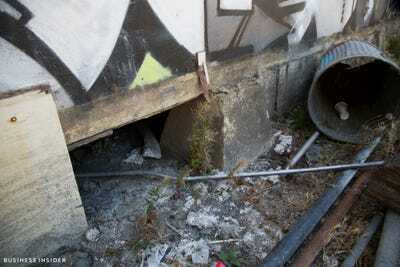 Channeling my inner urban-explorer, I searched the boarded-up building for an entrance and found it. Alas, I was not appropriately dressed (and far too chicken) to crawl inside. 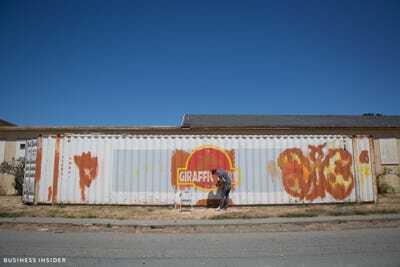 Nearby, I spotted a graffiti artist working on a shipping container. 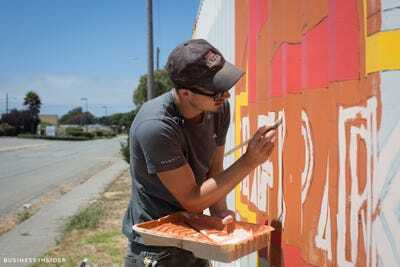 He turned out to be a member of a Burning Man camp, painting the group's storage unit. Space is at a premium in San Francisco, so the group leases storage here more cheaply. 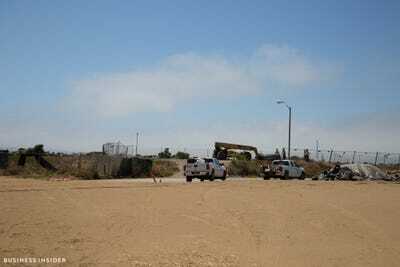 In August, the group will tow the container to Burning Man in Black Rock City, Nevada. 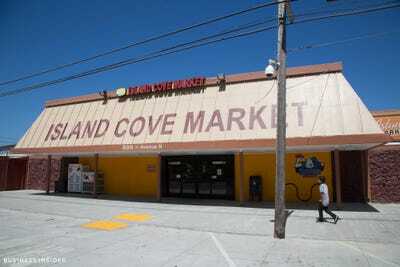 The first Treasure Island grocery store opened in 2012. It carries almost everything residents need and has a popular Cooper's Express counter that sells fried chicken. 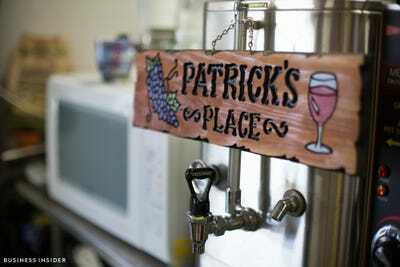 There are several small-batch wineries located on the island. 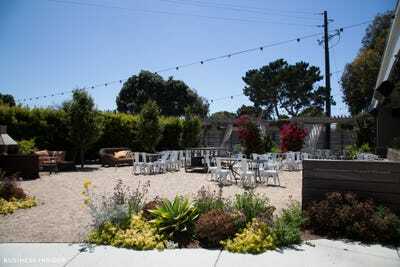 Fat Grape Winery sells sulfite-free wine and hosts free tastings out of a former military prison used by the Navy. Founder Patrick Bowen said most of his business is in distribution, though he gets some walk-ins. 'There's a brochure on 'free things to do in San Francisco,' and I'm in it,' he said. In a few hours, I exhausted nearly everything you can do on Treasure Island. It takes a certain kind of a person to weather life on Treasure Island. The isolation of island-life can make you a bit stir-crazy, according to Powers, the bike-shop owner. Because of the challenges they face, 'locals have a lot of pride,' Powers said. 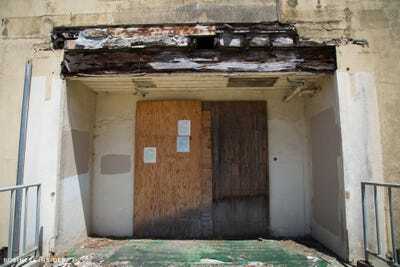 Change is coming to Treasure Island, whether residents like it or not. 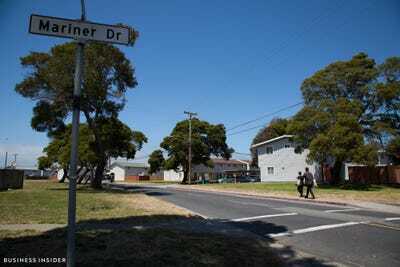 After the naval base closed in 1996, an amalgam of real-estate developers joined forces to turn Treasure Island into a housing destination. 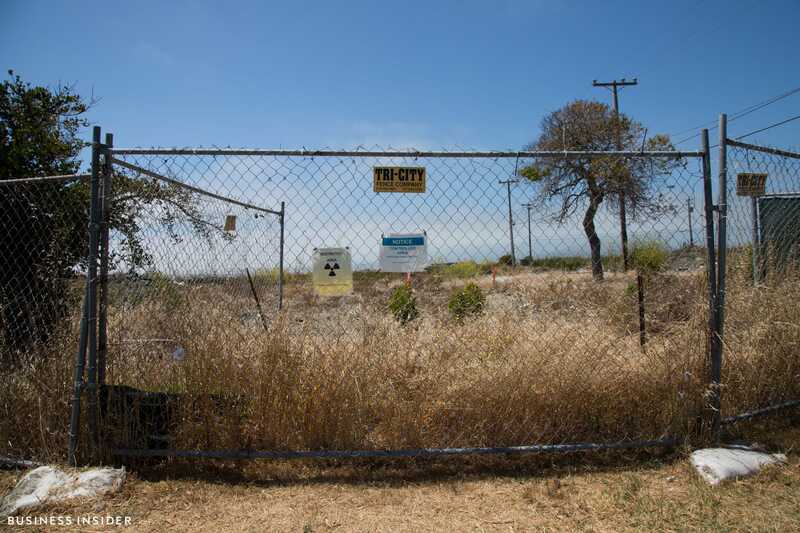 The project proposal promised to bring thousands of new homes -- and jobs -- to the Bay Area, at a time when it needs both. The plans were approved in 2011, and construction on infrastructure began last spring. In 2032, skyscrapers might tower over the shoreline where dilapidated buildings now stand. 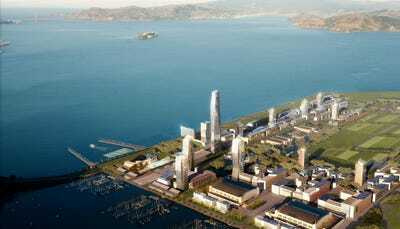 An artistic rendering shows the glitzy future of Treasure Island. The project will generate an estimated 8,000 new homes, 500 hotel rooms, 300 acres of parks and open space, 140,000 square feet of retail, and 100,000 square feet of office space, the San Francisco Business Times reported in 2016. The island's population is expected to grow from about 2,500 people to 20,000 by the year 2032, when the final stages of development wrap. Most of the existing buildings will be demolished to make room for new developments. 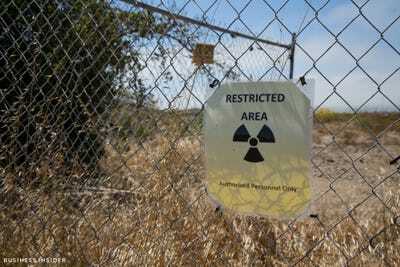 As construction crews dig at the sites of future luxury housing and office space, Kai Vetter, a nuclear physicist at UC Berkeley, warns that trapped sources of radiation could come loose. 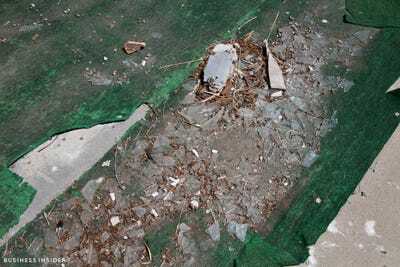 Vetter told local radio station KAWL that most of these materials have low levels of radiation, but are unsafe if a child eats the dirt -- as kids do. 'Then the major damage starts,' he said. that the island is safe for humans to live on. The first residents will move into new housing in 2018. 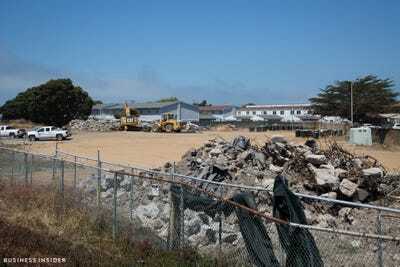 Current islanders have a choice: They can rent other units on Treasure Island or take a cash payment from the city. 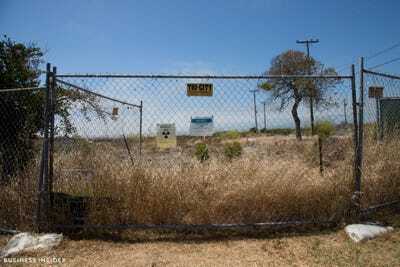 Despite the impending commercialization of Treasure Island, people living there can't escape the fact that they're isolated on a 400-acre landfill floating in the San Francisco Bay. To top it off, Treasure Island is especially vulnerable to damage caused by earthquakes because it's made up of loose sand. An earthquake might make roads buckle and buildings collapse. An estimated one-fifth of the $A6.5 billion budget for the development project will be spent on making the land suitable for new construction. This includes compacting the soil and adding more on top to raise the elevation, the San Francisco Business Times reported in 2016. Future residents have a lot to think about.